I've been debating switching to a ranged class, but the cost of regearing a character seems like it would be at least 750 blade and soul gold, and is prohibitively expensive. Should I switch from KFM to BNS Summoner? I was curious about how people viewed melee classes vs.I wanted to point out my observations to date, and am very curious as to where I am incorrect and any points anyone has to add.To be fair, I've only leveled warlock and force master to level 45 with minimal gear, and my KFM is 50HM6 with 514 AP and 4200 crit (so not exactly super geared either).As a result, my view of balance, I am certain, is extremely limited.I've been debating switching to a ranged class, but the cost of regearing a character seems like it would be at least 750 blade and soul gold, and is prohibitively expensive. +Assassins and Destroyers (if animation cancelling well enough) have high damage.LBM also has good damage. +More CCs for pve? (Although my BM says he only has 1 kd, and it is specced for heal instead of joint attacks? Not really sure I understand). -Greater risk in world pvp/pve (Needs to be up close and personal, very plausible to die to aoes from soulstone plains bosses if your framerate/latency isn't great, or opposite faction players). Result: Harder (but still very possible) to get credit for faction bosses. +Patches have seemed to favor buffing FM/SM, but KFM (and I assume? other melee classes) have not benefited as much. 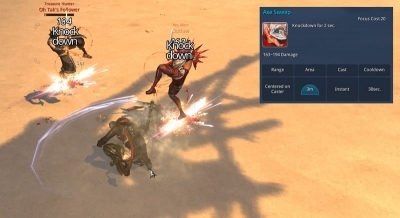 In summary, it feels (from a KFM's perspective for pve/pvp) that ranged classes deal more damage than I do, more safely, with more utility for the party, with more slots available (1 tank 3 ranged characters is much easier to clear 4 man lair enrage timer than 3 tank, 1 ranged character).They also seem less latency dependent (an issue because I live in northeastern USA) and simply better for getting credit for world bosses. As embarrassing as it is to say, I think I simply lack the requisite skill to run Yeti with a double tank group (KFM, BM, FM, SMN).We can make the enrage timers for Lair, but we've failed on Yeti. I've actually been going so far as to kick other tanks (BM/KFM) in my 4 man lair groups in favor of higher dps characters to make up for my failures and smooth out my runs (which I feel terrible about). So what do you all think?I'm sure I've missed a lot of the benefits and faults of both sides, and made numerous mistakes.If you could help point them out, I'd appreciate it greatly. Should I switch from KFM to Summoner?Is it worth the bns gold and the time? I do have 2 alts, a FM and a WL.Both are 45, but the reason I only want 1 main character is due to the expense of gearing for PVE content.I only have 350 blade & soul gold saved up on my KFM, and I don't even have the silverfrost merry potter recipe.To gear my FM or WL up to comparable standards of my KFM would cost around 750-1000 blade and soul gold, so I feel if I do opt to gear another character, I need to be very very sure of what I'm gearing.It'll likely take me 3 more weeks minimum to gear a second character to comparable value of my KFM, even starting with 350g. I guess my issue is that I'm having difficulty with getting credit for world bosses on my KFM, and I have difficulty doing 4 man dungeons with a friend who is a BM (which obviously can be resolved by overgearing my KFM).Additionally, Even using WTFast, my latency from CT->Texas feels a bit rough still in arena, cross server, and (oddly?) Mushin's tower (which I know makes no sense, but for some reason, everything feels sluggish in there).The latency issue, I believe, affects KFM greater than most other classes. -Up my gear as much as possible to make getting credit for world bosses/doing 4s with a blade master in my party doable. -Hopefully? have an easier time with 4 man dungeons and world bosses. I'm hoping that I'm just missing something glaring which will allow me to deal with content easier as a KFM, or that upcoming patches will make our dps comparable to the safer classes (I had mistakenly thought that all dps would be similar, since there is no trinity [tank, dps, healer] system in this game), or some magical latency fix (I know it's not really possible to get below 70 ping from CT->Texas, though my ping to arena seems to be significantly higher than 70 on port 10100 when I'm not using a VPN client). I'm extremely hesitant to switch classes, but in the same line of thought, I'm hesitant to continue gearing up my KFM, as it feels like an insufficiently useful class with insufficient capacity to farm gold to gear up. The current direction of content makes me feel like having multiple tanks is not only unnecessary, but a detriment for parties. Mostly I was curious of other people's insights into future patches (regarding multiple tanks/tank dps), their opinions on ranged vs. melee classes, and the feasibility of playing KFM with a bit of latency. These are by far the most sophisticated bot programmes I personally have ever seen, particularly astonishing given how it is impossible to run multiple instances of Blade & Soul on the same machine and that it uses GameGuard (a supposed, very controversial anti-hacking monitoring program)! Martial artists must choose a faction to align themselves with early in their story. We’ll be going over some of the core gameplay features that being in a faction provides. 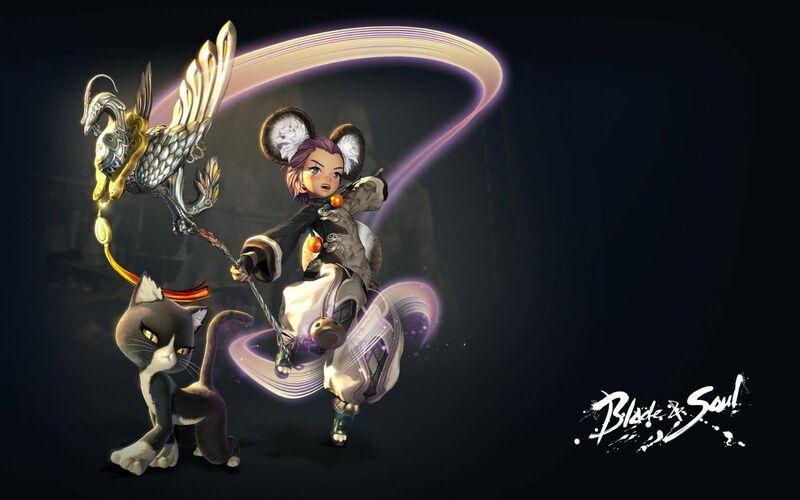 Blade & Soul utilizes an action combat system, allowing you to truly feel like a martial artist. Being aware of your surroundings, correctly positioning yourself, knowing when to defend, when to attack, and choosing the best response to your opponent are all key to being able to truly master your martial prowess. Blade Masters have a wide variety of attack and defense skills, making them a powerful force on the battlefield. 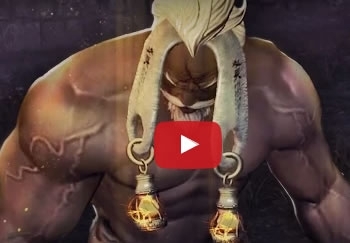 Welcome to the world of Blade & Soul, where you will journey as a martial artist on the path of revenge. Understand your history. Understand the threats in your realm. Only you can take down Jinsoyun. 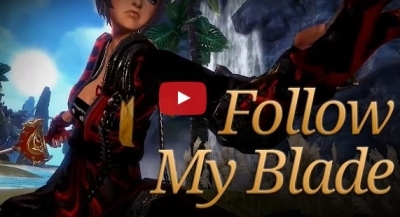 Set out on the path to avenge your master in Blade & Soul. 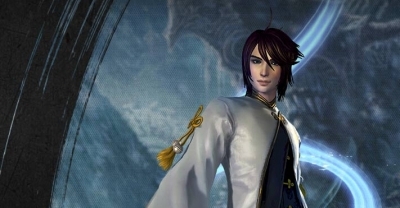 You must first become a great martial artist, before you can defeat Jinsoyun and restore balance to the realm.